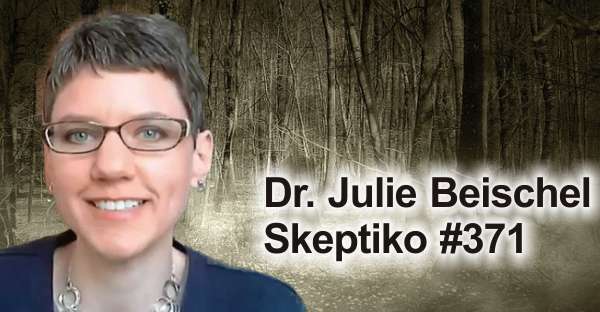 Alex Tsakiris: Today we welcome Dr. Julie Beischel to Skeptiko. Julie is the co-founder and director of research at the Windbridge Research Center, which really is the preeminent organization for the study of mediums and mediumship in the world. As we just talked, for one hour, because I forgot to press the record button, there’s really two sides to saying that, there’s a good and a bad side that this little research center, that Julie has started and, kind of, nurtured along for so long, is really the best there is in the world. It’s a great testament to her and what she’s done, but it also is a little bit of a statement about where we are in general, in trying to get a better handle on survival and consciousness studies that, kind of go against the mainstream neurological model that is rigidly holding onto its position. So, Julie is also, I should mention, the author of several books related to this topic, that you can find on Amazon, and she’s just a great guest and a great friend. 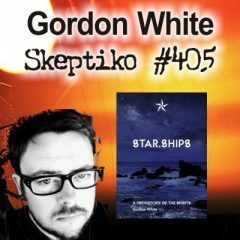 Julie, welcome back to Skeptiko, for a third time, because we just did an interview a minute ago. Dr. Julie Beischel: Yes, we did. It was a lovely hour we just spent together. I’m pleased to be here. Thanks for having me. Alex Tsakiris: Yes, it is, and now you’ve took all of the venom out of me, so now I have to be nice this time too. I guess that’s the price I must pay. So, as I told folks, the real impetus for this interview was that I got an email from you about this organizational change at Windbridge, that I think is kind of interesting to tell people about, because the refocus that you have is really wonderful, I think, in some important ways. So, let’s start, by first of all, before we jump ahead into that, for folks who don’t know, tell people a little bit about yourself, about your background. 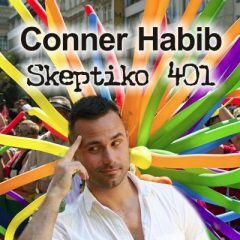 A lot of people know, because they’ve listened to Skeptiko before, or because they’ve just heard you at other places, but for those who don’t, give us the rundown on who Julie is and how you came to do this work. Dr. Julie Beischel: Okay. I am director of research at the Windbridge Research Center, which my husband is the executive director, his name is Mark Boccuzzi. The two of us founded the Windbridge Institute, LLC, ten years ago and we had a lot of different interests and we spread ourselves a little too thin. So, we wanted to focus on what we were good at and what we were really interested in, so we started this Arizona non-profit corporation, called the Windbridge Research Center, and we’re focusing specifically on research and education around dying, death and what comes next. Alex Tsakiris: Julie, I know you’ve told this story a million times, and you don’t have to tell the whole story, but I think people are always fascinated by the story of how you came to even be interested in this, and since, what’s so wonderful about what you do, is the scientific rigor that you bring to this work, I think people are interested to know that you’re a PhD, and not only are you a PhD, but you’re PhD trained to, kind of, figure out strange phenomenon like this, and kind of wrestle it to the ground. So, a little bit about your background might be useful. Dr. Julie Beischel: Okay. My PhD is in pharmacology and toxicology with a minor in microbiology and immunology. So, my training is in the hard sciences and I know how to apply the scientific method to anything. So, science is a tool, it’s not a set of beliefs or a set of facts, so you can apply it to anything. When I was in graduate school, getting my PhD, my mom passed away and I’d never heard of a medium, but that was around the time that John Edward was on TV, his show was really big. So, I thought, “That looks real, those people look moved,” and the information seemed specific, but I’m a scientist, I need to see that for myself. So, I got a reading from a local medium and she new things that there was no way that she could have known. I knew about cold reading, I’d read up on it, so I knew what she could learn just by seeing me. But, she said a lot of things, there’s no way that she could have known, and even things that I didn’t know, that I had to check with other people in my family to verify, that were true. There’s an even weirder story, that someone came in, who I didn’t know, and a couple of years later I ended up dating the guy and he recognized that guy from my reading. So, there were, like forward and backward in time issues, it was very interesting. I started to realize, there’s a huge movement of people who don’t know anything about it and have just heard that and just pared it back, “Oh no, they’re all frauds.” So, I was like, that’s not fair, these people need a good scientist to apply the scientific method and bring this into the lab, that’s what they really, and the universe was like, “Really? Here you go, it’s you now.” So, the universe conspired to put me on this path and I’ve been doing it ever since. My training is in hard science, so I’m good at protocol design and blinding and control groups and I can design the heck out of a study. Alex Tsakiris: And you have. 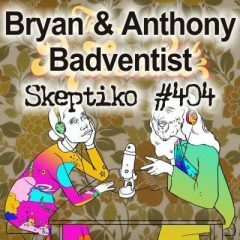 One of the reasons that I think you’re so popular on Skeptiko is because our audience is very scientific minded, and I think a lot of people are just blown away by the rigor that you apply. The gold standard, really, for medium research, as some folks have called it, and anyone who gets in there and looks at it, knows that’s the case. You can go and look at some of the interviews we’ve done with Julie in the past and they stand up to all of this kind of, nonsensical, silly, skeptical, kind of crap that’s out there and she just destroys them, she just destroys them over and over again, by good science. Isn’t that what we really want, after all? You know what I was really struck by and I wanted you to speak to is, I love what you’ve said here, about the Windbridge Research Center, because when we get past the battle of consciousness, is consciousness a product of the brain? Are we biological robots? then we say, on a deeper level, what is the deep spirituality associated with mediumship? By that I mean, how does it really affect people’s lives in a positive way? So, talk to us for a minute about this mission statement and what it means to you and why you chose those words. Dr. Julie Beischel: Well first, I’m very detail orientated, and I never liked the way that it was often said, ‘death and dying’, because dying comes before death. So, I put them in chronological order, dying, death and what comes next and I feel like, sometimes, I’m not a channeler, I’m not a medium, I’m not a psychic, but sometimes phrases, in parapsychology it’s called anomalist attention, that something comes by you and you say, “That’s meaningful, that’s going to be something.” I don’t know where I heard it, in a movie, in a book, what comes next, and I grasped onto that and I thought that was really a good way to describe, because we’re interested in what happens next for the person that died and what happens next for the living, that are still around and grieving that loss. So, we wanted to use rigorous scientific research to collect data and make inclusions that we then could share with a variety of audiences. Alex Tsakiris: Let me just interject for a minute, because you say that, because that’s second nature, that’s who you are, that’s PhD pharmacology and toxicology, right? But it’s different, it’s different in this field. You bring that here, in a way that’s really important and as I was relating to just a minute ago, what really struck me, from a long time ago, from years ago, when I met you, is that, and especially into the gender differences thing, but especially guys, you know? Guys, a lot of times we need the data, we need the data, and then we feel that we can, kind of, maybe venture into some of those feelings that we have, if we have the data. I love that that’s something that you obviously had a certain affinity to, as well as the science and the data, as a way to, kind of, move forward. So, talk about that for a second. Dr. Julie Beischel: So, as a society, we rely on science to move forward. It drives policy, it’s what medications are, that’s all science, what foods are in the world, how we eat food, what’s suggested. So, clearly our society holds science as an authority. Yes, I’ve always had a predilection for science. When I was in 8th grade, I won the science award in my class. So, I have always been a scientist. I don’t know how to think any other way. So, when I had a question, when my mom died, and I was seeing mediums on TV, I used science to get to the answers to my questions. But science is just one way of knowing and people’s experience, that’s another way of knowing. But, I’m a scientist, so I use my method and that’s what I can share with people, our data, and that does convince people and that does help people, and alleviate suffering, for some people to know that I brought mediums into the laboratory and I controlled for all the things that people could say, “Oh no, it’s just this,” no, I controlled for all of that. They have no access to the sitter during the reading, so they can’t do cold reading. The sitter receives two readings to score, one is theirs and one isn’t, they don’t know which is which, so the rate of bias is equalized. I don’t know anything about the deceased or the sitter, so I can’t queue the medium. So, all of those things are taken care of, and it still was happening. They still could do it. We published a paper a couple of years ago, where 20 mediums performed 58 readings and the accuracy data rates statistical significance. Three different kinds of accuracy scoring, item by item scoring, whole reading scoring and forced choice, ‘pick which reading of those three you think is yours’. Alex Tsakiris: It also helps the people that should know about that, and we trust with telling other people about it, right? That’s the other part of your mission is sharing that information, not just with the general public, but that’s something you do, but also sharing it with healthcare providers, sharing it with nurses, doctors, sharing it with, you mentioned [unclear 00:13:00], that was just an excellent point, maybe we’ll bring it up to the front of this interview. But to think about that situation that we all know that exists, and that’s that someone loses someone, they’re in grief, and yet they feel that person’s presence, they hear that person and they go, “Oh my gosh! What’s wrong with me?” They go and see a mental healthcare professional. Oh my gosh! I can only hope we’re passed the point where that person says, “Oh my god, you’re crazy,” whether they say it directly or indirectly and they say, “Take this medication.” We have to get this information out there, we have to stop that from happening, right? So, there are things about what mediumship really is, in the real world, that’s different than how it’s portrayed on TV, for example, and people don’t know that, and clinicians don’t know that. So, I’m really worried that people are being medicated for mediumistic experiences, it’s very common. I think one of the big things is, after-death communication with a loved one is very common, and people think it’s weird but it’s very common. So again, that little nugget, like “Oh no, no, that totally happens, you’re not weird at all,” that alleviates suffering right there. That makes the person more open to it the next time, and it’s comforting, the experience, rather than it being stressful, like, “Oh no, it’s weird, I’m crazy. I’m turning psycho.” No, it’s very common, after-death communication is very common. So, we’re trying to convey those kinds of facts and that evidence-based information to the public and to all of these different audiences. We use the word ‘clinicians’ for mental health and healthcare providers and we use the word ‘practitioner’ for mediums and psychics, because they also need to know and they can alleviate suffering. One of the mediums on my team, I was talking to her the other day, and I was telling her about the results of this study. We did a study where we had 122 self-identified mediums describe their experiences during communication with the deceased and during psychic readings for the living, and as we’ve learned in research with just the mediums on our team, just the few of the mediums on our team, it seems to be, what we call a multi-model experience, so they see things, they hear things, they smell things, they taste things, they feel things. So, I was telling the medium that and she was like, “Oh, I thought everyone was just clairvoyant, it was just visuals, just seeing,” and she felt comforted. I was like, “How do you not know that, being in my research team?” She’s not reading my research papers. So, we need to be able to convey this stuff to different audiences in different ways, so that it alleviates suffering for all of the different segments of who we’re serving. We’re a charity, we’re serving people. 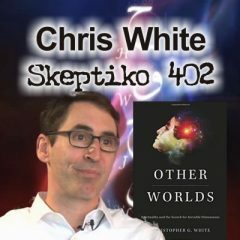 Alex Tsakiris: I’m glad you clarified that, because we spoke about that in the last interview, and that is, the relationship between parapsychology, which is the closest thing we have to scientific legitimacy in this area, and survival research, and those lines are betting blurred. 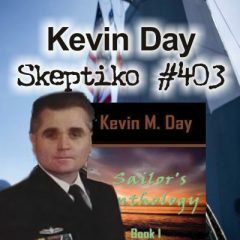 Your work is blurring those lines, because, as you said, you’re doing a little bit of an [inrun 00:18:04] on parapsychology, not that you can get along with those folks, or like and respect them, but you really don’t fall under that category. Nor do you fall under the category of near-death experience, although it’s closely related, because again, it touches on this question of survival. 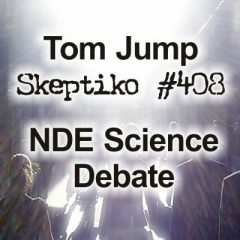 Nor do you fall under, we were talking about the work at the University of Virginia, and Jim Tucker, and his past-life work, which directly speaks to this question of survival. So, maybe you want to spend just a minute and talk about how all of these things might relate. Then I have a following question about that, that relates back to the [radical 00:18:44] part and maybe causes us to take another look at this biological robot thing. But first, how does what you do, fall into the larger question of survival, and I’ve just brought up on the screen, Leslie Kean, who I did an interview with and has written this very popular book which tries to mainstream this idea that survival is something that we can now accept, we can kind of step into and talk about in an intelligent, intellectual way with those kinds of folks. What do you think about the broader question of survival and how that’s being brought into the culture, accepted by the culture? Dr. Julie Beischel: I don’t consider myself a parapsychologist, and traditionally parapsychology is described as studying the big four, telepathy, clairvoyance, precognition and psychokinesis. Then, the late, great, transpersonal psychologist, William Braud, once wrote that parapsychology is interested in the big four with an occasional nod to survival and after-life topics. So, even in parapsychology it was fringed. As a community, we try different labels for ourselves, and right now I’m liking a ‘consciousness researcher’, I think that’s probably more descriptive, because I’m not doing the big four, I don’t study the big four, I study survival of consciousness. So, ‘consciousness researcher’ seems to be a better term. The analogy that’s been used, it’s like the idea of the bunch of sticks. So, in any one of these, we call them the planks in the survival platform, near-death experiences, children who remember past lives, mediumship, out of body’s and stuff, all of these things, any one of them, there are flaws to the body of data, but if you hold them, you can break any one stick, but if you hold them all together, you can not break the bundle of sticks. I think that’s been well-established and the issue with it not having a secure foothold in the world is simply a reflection of human psychology, people are not good at new things or changing their mind, especially people who, sort of, their personality is amygdala-based, where new things are experienced as dangerous, so they’re physiologically, neurologically incapable of being calm and openminded. If you have a conversation with people about this topic and they yell, they’re not frontal cortex having a discussion with you, they’re amygdala, responding out of fear and anger at these new things. So, there’s a lot of that in the world, where we’re never going to convince some people, because it’s just too physiologically, neurologically dangerous for them to contemplate these things that I’m talking about. Alex Tsakiris: Do you have any thoughts, Julie, on what role technology might play in getting this to the next level here? 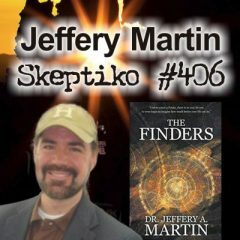 I just did an interview with the UFO researcher, Dr. Stanton Friedman, and the UFO intersection with this is kind of interesting in that same extended consciousness realm. But one of the things that’s challenging about this, is that there does seem to be a technology angle right around the corner, even when we approach it from a scientific angle, you know? Take remote viewing, which we kind of accept. 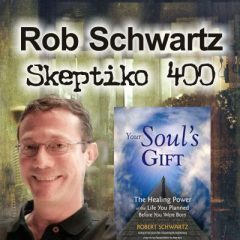 Again, they took a scientific, double [bubble 00:22:43] approach to psychic work and were able to be effective at it. What happens when we go to the next level in the use of brain mapping and some of the advanced neurological techniques, to kind of get us beyond where we’re at now? There’s this kind of tantalizing evidence that technology might bring us closer to some form of communication with this extended consciousness realm, if you will. Do you have any thoughts on what role technology might play in the future, in terms of changing how we think about this, or making it, I guess ultimately, not just changing how we think about it, but making it more effective? What happens when the iPhone 20 can do telepathy, what kind of future is that? Dr. Julie Beischel: Well, I think it actually goes the opposite way. That’s a question I get all the time, “What happens in a medium’s brain?” But, if we’re talking about the opposition theory to scientific materialism, is non-local consciousness, which is consciousness exists everywhere and all throughout space and time and is just funneled through the brain like a radio antenna. So, why are we even worried about the brain anymore? It doesn’t seem like that’s where we are. We talked about this sort of Venn diagram of mediumship and psychic experiences, and there’s a lot of overlap. So if you did brain mapping and brain imaging, which is, admittedly a study I’ve always wanted to do, is looking at mediums’ brains during various situations. Alex Tsakiris: But you’re familiar with Michael Persinger. Michael Persinger up in Canada, he’s kind of taken it to a different level. A lot of people aren’t familiar with his research, but he’s not only mapped the brain, but he’s said, “Telepathy, here’s how we do it,” and he’s sent the message from here to here with electromagnetic stimulation. I’m with you, but the lines do become blurry in a way I’ve been more open to lately, in terms of understanding that we have to appreciate that technology is probably going to have something to say about how we think about this in the future, and I just wonder if you have any thoughts on what that merger might be? Dr. Julie Beischel: What just came into my mind was, what we know about how to be more psychic is meditative practices. I think Americans don’t like to hear that because mediation, people have trouble clearing their mind, but that’s not what meditation is. Meditation is about focusing on something and the mind does not like to be clear, it has jobs to do, and telling it to shut-off, it’s not pleased with that at all. So, focusing, counting your breath. So, I think where technology might come in, is sort of in this consciousness hacking movement, of technology helping us to learn how to focus and breathe and count, so that we can have access to those other realms, if that’s the phrase that you want to use, or that your consciousness can learn to be more non-local, that it can learn to access this information that’s separate from you locally. I think maybe that’s where technology-. But we talked about this earlier, about the measurement of things, like that’s a lot of what these systems do, the physical measurement of things, and these aren’t physical things anymore. There’s a lot in the body that we don’t understand. 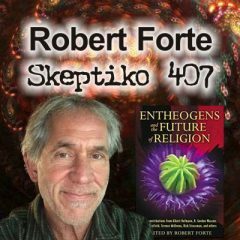 The body is very efficient, it doesn’t do things, it doesn’t waste energy on things that it doesn’t need to, but every cell, since the beginning of time, every human cell that has divided, has spent the time and energy and resources to replicate the DNA in its entirety for the new cell, but 97% of that DNA doesn’t do anything, it doesn’t code for any purposes, but we’re still keeping it around. So, is it like a homeopathic issue, or the energetics of the DNA is holding some information that doesn’t have a physical manifestation? So, there’s lots of things that we already know in biology and in other fields, that you can’t measure those kinds of things, but they continue to exist. There’s lots of phenomenon, we can’t explain why we yawn, why we dream, why we blush, we don’t understand that, but those are common experiences that people have. So, there’s this idea that we have to embrace mystery at some point too. We might not be able to measure everything or bring everything into the lab or image everything or count everything, and that’s part of human experience and important. Alex Tsakiris: I think that also speaks to something you mentioned early on, and that’s why we need people to focus on one thing and do it really well, and that, I guess, is really what you’re trying to do at Windbridge. So, tell people more, as we wrap up, about what is coming up for you, what do you think is important on the horizon, what you want to accomplish with some of the research that you’re working with? Dr. Julie Beischel: Overall, our team mission is to alleviate suffering. So we’re doing scientific research and then sharing the results of that research with different audiences, clinicians, researches, the general public, practitioners, in a way that benefits them and alleviates suffering. Mediums need to know about common things, like, “You’re not weird. This is how other mediums experience it.” There’s physical mediumship and there’s mental mediumship, but the state of trance that is a continuum in either of those kinds, so, to call someone a trance medium, that’s not really an accurate way to think about it, because different mediums, at different times, during different events are in various stages of trance. So there’s a lot of problems with language and so trying to teach people, like, “Oh, you may have heard this, you may have heard someone say clairvoyant,” but it seems that the mediumship process is actually a multi-model situation, where the mediums see and hear and feel and smell and taste. So, if we can just normalize all of this stuff, I think is the bottom line of anything, you know, “Here’s what we know, 122 mediums talked about their experiences during psychic readings for the living and they experienced dead people as part of that experience.” So, this idea that dead people are with mediumship and no dead people are with psychic, no, there seems to be overlap and the way that we use terminology to delineate things, does not seem appropriate. At the end of the day, all we can do is ask people about their experiences and then we have to study them, we have to realize that the experience is important in of itself.